I have had a great year for demonstrating this year, a lecture and Demo at the farriers AGM in september and I have been to America twice , once for Arctic fire and this latest time for The Oakland Axe'n Sax-in run by Jim Austin and Jeff Pringle. My demo was welding up and forging a seax blade based upon one I had recently measured in the Museum of london. 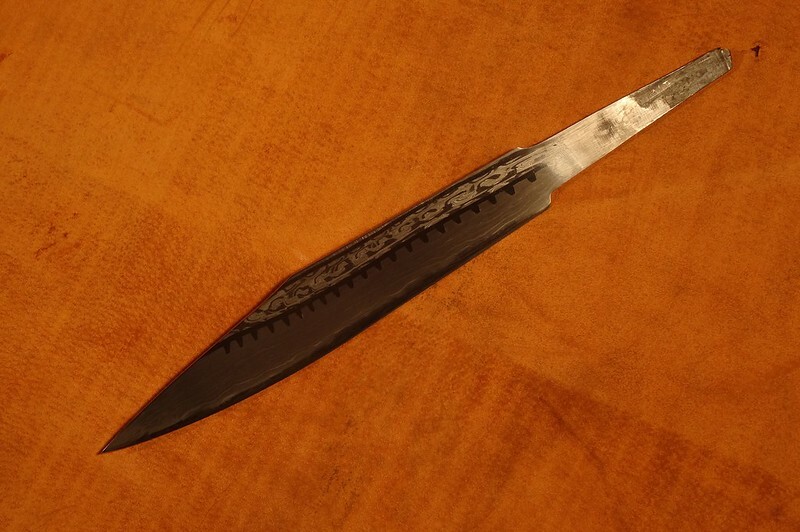 Its a very fine and trixy little seax blade, with a nice set of toothy patternwelding. It has a wonderful and fine set of nashers looking a little like a wrack from a wrack and pinion. 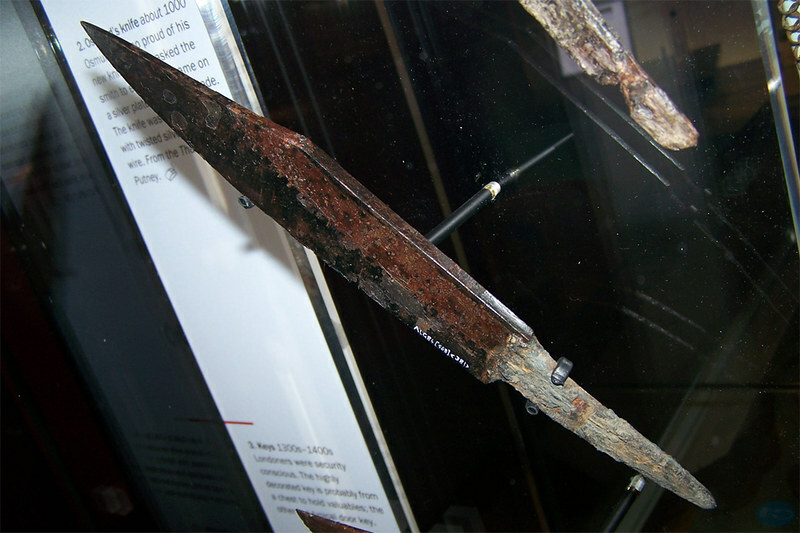 both sides show different twists so its a complex blade to try and pay homage to. Anyhow I did my best, when I finished my demo the blade was not quite the rite shape so I re forged it upon getting home to something closer to the origional. my blade is a little bigger than the original and has fewer teeth, it is however not a bad attempt as a demo piece and I am happy with it as a stand alone blade. If it were to be an actual replica then I would probably need another couple of tries to get the pattern dimensions spot on. here is a first photo , I'll get a better one over the next few days. Ill post up pictures when I have the blade finished. Nice work Owen! The shape and dimensions of that seax are quite pleasing. Unusual pattern, but very interesting. Love the teeth and the overall form. You know how it is hard to work when you are being watched? It must have been very hard to work being watched by that particular role call of the accomplished.